First of all, you can know you are in safe and caring hands with Golden Heart, because all our staff are thoroughly vetted through drug testing and a national background check on driving, criminal and sexual assault records. In keeping with our promise to “Bring Safe and Confident Living Home to You”, we offer unique services to our clients and the broader community. 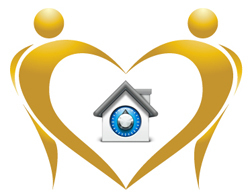 Golden Heart Home Safe provides free home safety and security assessments and “Safe and Confident Living” educational seminars.